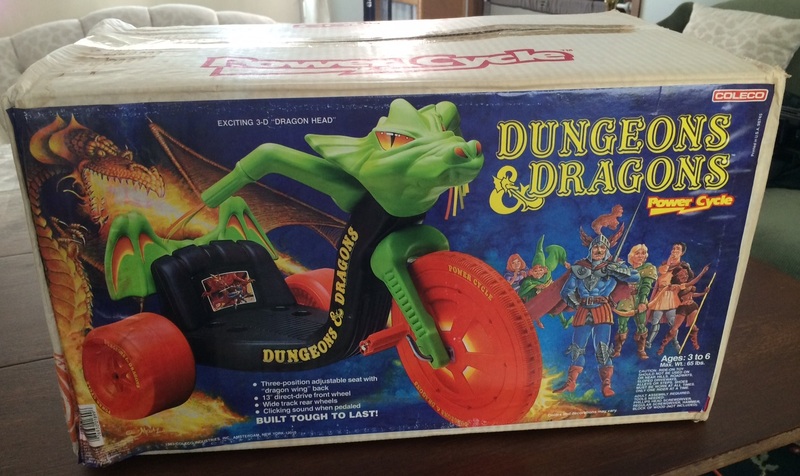 Many thanks to Anthony Savini and Cecily Tyler, director-producer and producer (respectively) of the one and only Dungeons & Dragons: A Documentary, for the pics. Thanks also to Bill Meinhardt and Scott Brand. The cycle is part of their incredible D&D collection. 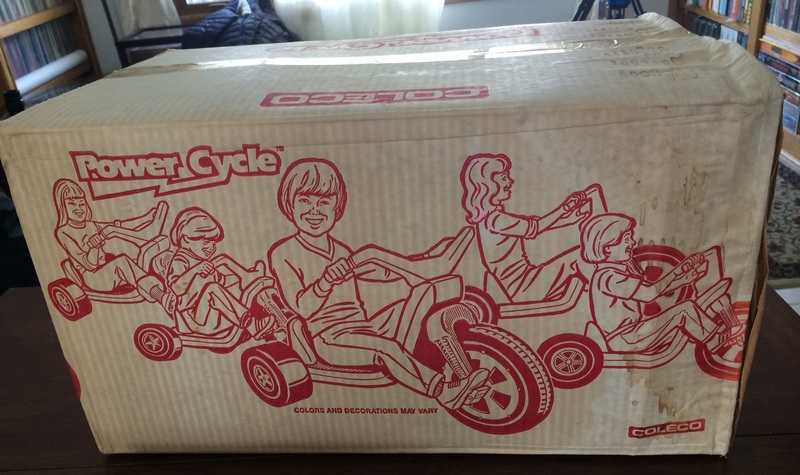 The box front is missing Bobby and Uni, but Strongheart, who appears in only one episode of the cartoon, is front and center. I’m trying to track down the artist. 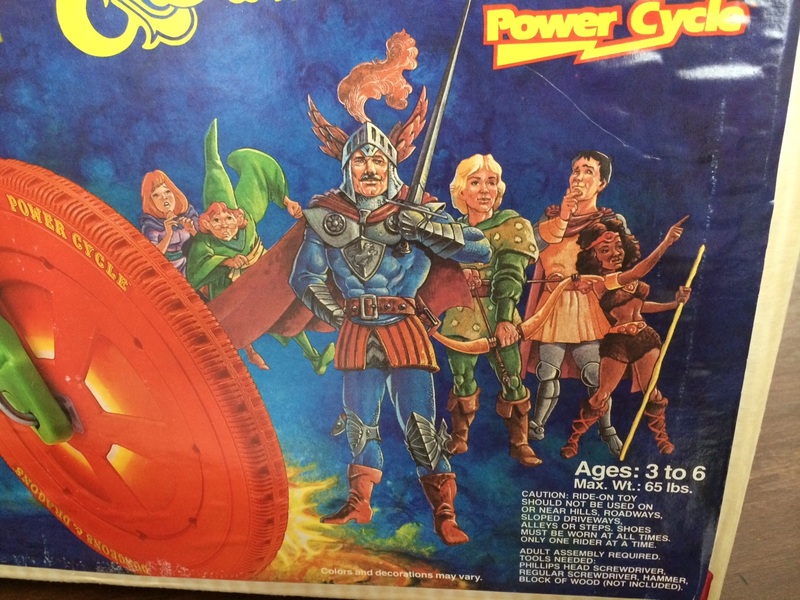 More on the Power Cycle (“Exciting 3-D Dragon Head”) here.